The primary purpose of the program is to identify drivers who could most benefit from a refresher course that may reduce the possibility of another ticket or being involved in a collision. The course provides a very good refresher of the hazards in driving and how to recognize, understand, and act in time to avoid those hazards. The receiving of a ‘minor’ violation ticket that is eligible for this program is a red flag that the driver made a bad choice when driving that increase his or her chances of being injured or killed in a collision (not to mention others on the same roadway) or receiving another ticket. I thank the State of Michigan for having a BDIC Online program where someone who makes a mistake can hope to eradicate that mistake from records that would seek to CHARGE them HIGHER insurance fees simply because.. because they can, and will in this day and age.. 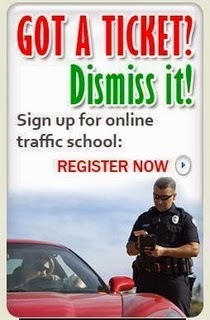 ANYONE who has learned their lesson and was able to use this program THANKS those who have it.. you, on the other hand can.. just eat your next traffic ticket..
For a person who has a first time minor violation, it does give them a great opportunity to not have the ticket follow their record and insurance statements. I think it is great that Michigan has started implementing something that many other States already do. The individual was speeding, and in reality, still has the option to pay the fine and have it reported to the insurance company just as it always has been. Please be aware that the Michigan Legislature created the Basic Driver Improvement Court and not the Michigan Department of State. The legislation was signed into law by Gov. Granholm and is modeled on similar programs in other states. The department is required by law to offer this program. Lawmakers at the time said the course would allow people to avoid costly insurance increases due to a minor violation. The program allows points drivers normally receive for a minor driving violation to not be counted against them if they pass a traffic safety course. The course can be used to avoid points only once and serious driving violations such as drunken driving don't qualify for the program.